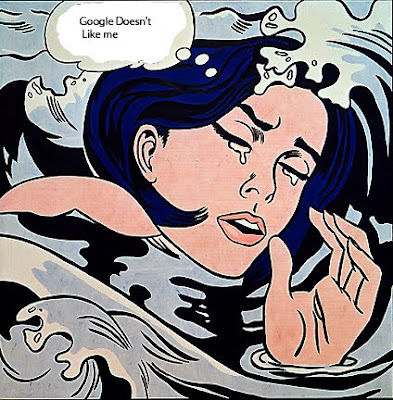 Phyllis Odessey: Google Doesn't Like Me! (www.freshtilledsoil.com) at the Garden Writers Association Meeting on Feb.4th in Boston. In Part I, I discussed Richard Banfield's take on building engagement by blogging and using other social networking tools. Part II: Building Those Relationships: How? I often ask myself these questions, in relation to personal relationshps, but never in terms of blogging. If you engage in a shared user experience, Banfield says opportunities will come to you. Simply said, you need to give people a reason to stay on your site/blog. Are you writing for an audience? QUESTION: What is the structure of your URL? Have you ever thought about how google categorizes? About title tags? How many characters? Banfield "Google is like a prom queen." Do you think of google as an entity with preferences that you can and should use to your advantage? QUESTION: Do you use the tools that are available? Video, linking your video on YouTube to your blog? subscribing to other blogs, linking to other blogs, teaching, training, reviewing books, reviewing products, submitting content to Yahoo, indexing on google, submitting articles to other sites, etc. etc. This may be old hat to most of you, but to me it was an eyeopener. "Blogs require a piece of yourself." It turns out blogs are about commitment. Those of us with commitment issues, may not be the best bloggers. If you can conquer the blogosphere, you may be able to cancel those shrink appointments.